Where can you stream Condor? 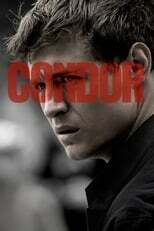 On 2018-06-06 Drama TV Series Condor first aired on Audience. Written and created by Jason Smilovic & Todd Katzberg, and produced by MGM Television & Skydance Television, Condor will return and was last broadcasted on 2018-08-15.